Are lawn mowers damaging my siding? According to the Census Bureau’s annual Survey of Construction, vinyl siding is the most popular choice for exterior wall coverings. 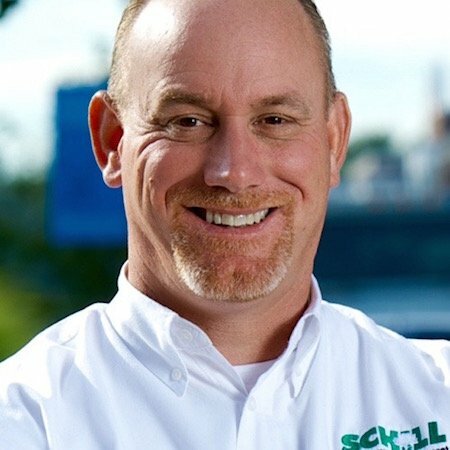 As one of the largest providers of commercial landscape maintenance to condos, apartments, and HOA’s in Northeast Ohio, the Schill team deals a lot with these types of properties. The fact that the material is low maintenance and budget friendly makes it a clear favorite among the properties we service, but homeowners should be aware that it is susceptible to damage. Because aluminum and vinyl siding are often praised for their durability, it may come as a surprise that the most common threats to siding are actually weather related. Harsh sunlight and extreme heat can warp the material, leaving waves and cracks on the outside of your home, while hail and high winds can leave large holes or remove siding altogether. After heavy rains, moisture from storm water also can accumulate behind siding, causing the wood underneath to rot. But sometimes, the culprit is just regular maintenance caused by lawn mowers and other landscaping equipment. So, a few times per year, we’ll get calls from homeowners in HOA’s and condos (these are the types of commercial properties most likely to use vinyl or aluminum siding) with reports of damage. Considering the fact that our crews are out mowing over 11,000 times per year, this actually occurs very rarely. Nevertheless, we repair the damage within a matter of days whenever this happens. Not ones to shy away from difficult subjects, we set out to write this article to teach homeowners how to avoid this type of damage. And, as proof of our commitment to preventing this, we’re offering a significant discount on enhancements that can help solve this problem. Read to the end of this post to find out more. 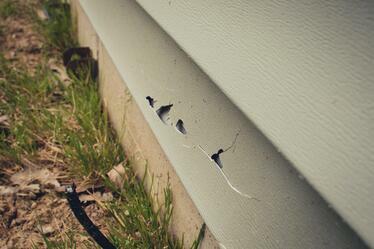 There are several ways to prevent landscaping equipment from damaging siding. For instance, many builders leave the foundation exposed in order to leave a couple feet of clearance between the ground and the siding. In an effort to make look this more attractive, it’s increasingly common for construction companies to cover foundation with a stone or vinyl veneer, but this can also be susceptible to damage if not installed correctly or if the veneer is made of materials that are easily damaged. Some landscaping contractors will spray chemicals along the exterior of the house to prevent grass from growing against the home. 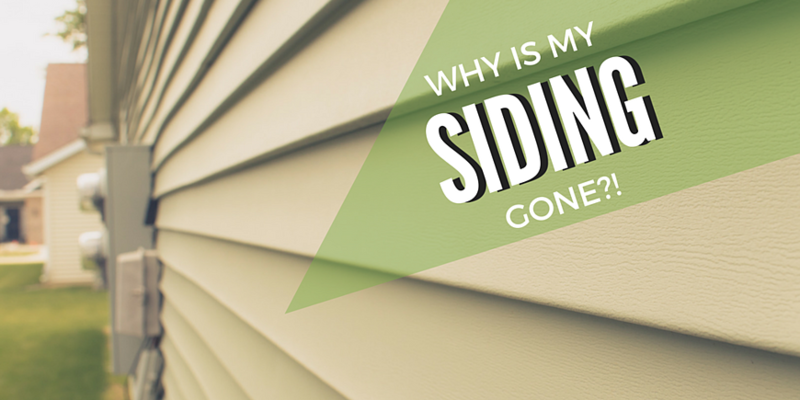 While this does result in mowers not needing to get so close to siding, it can be unsightly. Here at Schill, we want not only to protect your home, but also to make sure it looks its best. Also, we try to use as little harmful chemicals as possible due to our sustainability initiatives. Instead, we like to provide solutions that increase your property’s curb appeal and decrease your impact on the environment. Our best recommendations for homeowners who want to prevent this type of damage is to install a barrier between your turf and your house. Flower beds and drip edges are great at providing that extra amount of distance between grass and siding, and they look great while doing it. Drip edges are trenches filled with gravel, and, when placed along the side of a home, can prevent water damage and keep mud and mulch from staining your siding. But they also have the added benefit of acting as a barrier between your siding and lawn mowers or anything else that might otherwise come in contact with your siding. Many property managers and homeowners with minimalist taste favor them aesthetically, but they are also a great choice because they require virtually no maintenance other than tidying up the occasional bit of gravel that gets displaced by storms or heavy wind. Interested in getting more zen? Considering making your drip edge a Japanese stone garden by mixing sand or fine gravel with larger stone. Use a rake to make interesting designs during times of quiet meditation. Like drip edges, flower beds can also help prevent water damage to your home when installed in a manner that allows for good drainage (typically by placing stones at the bottom). Flower beds aren’t just great for protecting your home and adding curb appeal, they’re good for your health as well. Studies have found that maintaining a garden has a great deal of physical, emotional, and cognitive benefits. But if you’re a Schill customer, you don’t have to do all the work yourself. We let our customers with gardens pick their level of commitment, not only installing beds on the properties we manage, but we can helping maintain them too. We do everything from soil testing, to adding mulch seasonally and plant installation. Residents at the properties we manage plant everything from vegetables and herbs to flowers and shrubs on their properties. While it’s always important to check with your HOA to make sure you’re following their established guidelines, typically you’re only limited by your imagination as far as what you can plant. Not sure which one to choose? Try them both! 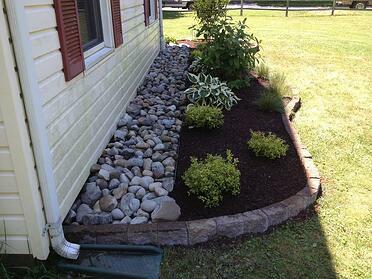 Flower beds and drip edges look great together; use the gravel from the drip edge for great drainage, and use a flower bed for pops of seasonal color. To show we’re serious about fixing this problem, we’re offering a 20% discount on installing new flower beds or drip edges adjacent to home exteriors. If you’re a homeowner of a community we manage, request a proposal today or get in touch with your Customer Care Representative to schedule a consultation. Be sure to mention this post!